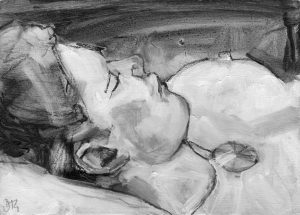 Delia regularly worked with the model whilst studying for her Fine Art Degree at Suffolk College (UEA) and life drawing became an essential part of her practice. 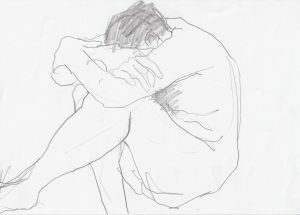 After art school there is little opportunity to practice life drawing so she decided to organise some untutored life drawing days where artists could come together and work from the model without tuition. Now in its fifteenth year the group runs fortnightly at Ally Berry’s studio, part of Asylum Studios in Rendlesham; it’s a great space that can take up to ten artists at a time. New artists are welcome to join, for more information contact Delia.